A large wall photo at a Philadelphia exhibition shows Leonard Bernstein during one of the most poignant days of his life – a day in 1948 when he conducted a concert with a small group of Holocaust survivors in Germany. The picture and the story behind the moment are part of the Leonard Bernstein: The Power of Music exhibit at the National Museum of American Jewish History. The presentation marks what would have been Bernstein’s 100th birthday in August 2018. Associate Curator Ivy Weingram says the exhibit’s central theme is Bernstein’s 20th century crisis of faith. This includes his struggles with his Jewish identity, his faith in other people, and his views of the government. These issues deeply affected his roles as a composer, conductor, humanitarian, and educator. 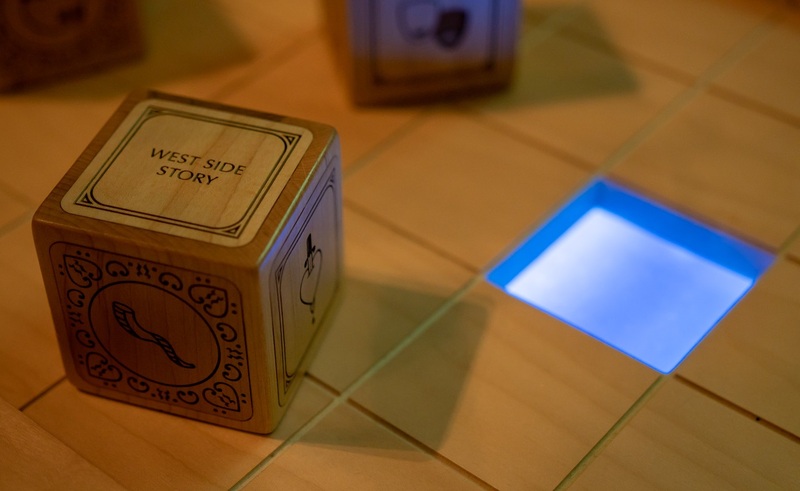 “Every story that we tell in this exhibit connects in one or more ways to Bernstein’s ideas about faith and how he felt his faith in himself and the world challenged him throughout the 20th century,” Weingram said. 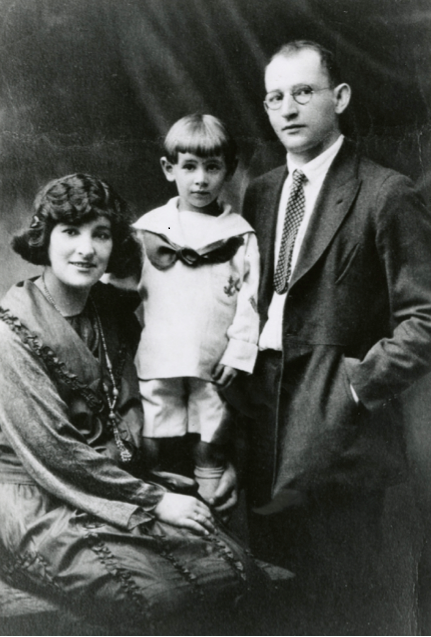 In addition to lessons, Bernstein was also exposed to music at Congregation Mishkan Tefila, where his family attended. During services, he listened to works performed by the synagogue’s Viennese music director, the choir, and the organist. Weingram said Bernstein wrote about the experience as an adult in a letter. “He said he’s heard greater masterpieces performed since his days in Mishkan Tefila and in more impressive circumstances, but he had never been more deeply moved than he was by the music of his childhood synagogue,” Weingram said. The success launched a long-term career and a strong relationship with the New York Philharmonic, which loaned the museum a display of Bernstein’s tools of the trade. These include the trunks he used to carry his sheet music and composing pencils, his easel for studying scores, and his eyeglasses. 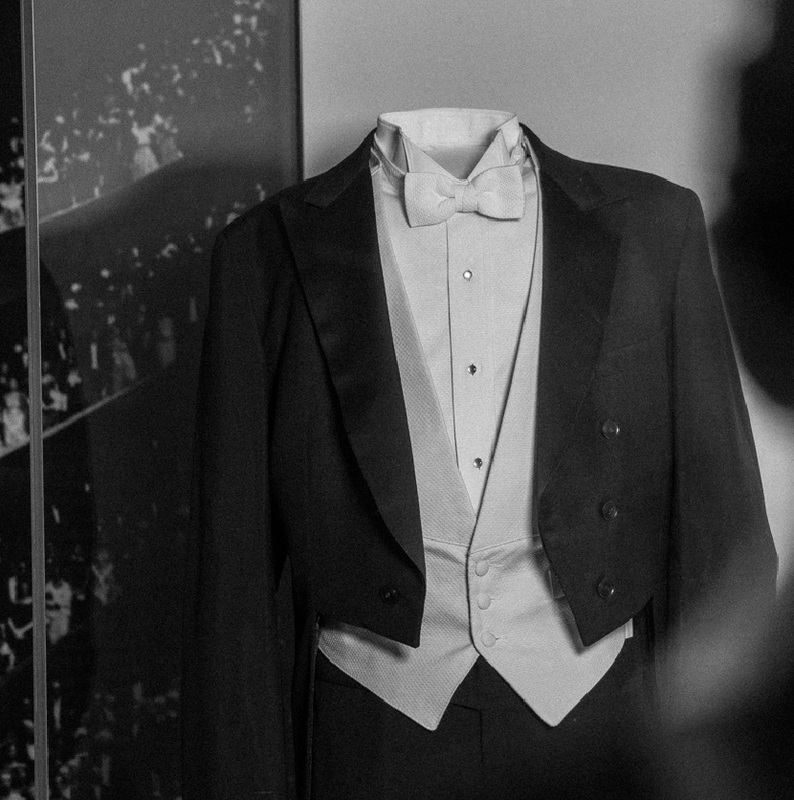 Bernstein’s conducting suit is also on display and shows he was not particularly tall, maybe 5’7” or 5’8”. A few years after Bernstein’s career was launched, he made a seminal trip to Germany. He was taking part in a conducting tour of Europe, and while in Munich he was asked if he would visit a displaced persons camp. There he conducted a small orchestra of 17 Holocaust survivors. Bernstein had been exempt from service during World War II because of asthma, so Weingram said this was Bernstein’s “first confrontation with the realities and the tragedies of the Holocaust.” He conducted them in Rhapsody in Blue by George Gershwin, which Bernstein considered a composition that offered him healing in times of personal turmoil. During about the same time period, Bernstein started working with the Israel Philharmonic Orchestra. His relationship with the organization continued over decades, and he conducted the orchestra during 25 seasons. Bernstein truly believed in the power of Israel’s orchestra to show the world what this tiny nation was capable of. 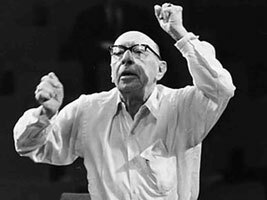 He conducted two particularly noteworthy concerts there after the 1948 Arab-Israeli War and after the 1967 Six-Day War that reunified Jerusalem. During that concert, Bernstein conducted Gustav Mahler’s Resurrection Symphony in celebration. Back in the States, Bernstein began working with Jerome Robbins on a musical they envisioned would update Romeo and Juliet for the 20th century. Their original concept focused on Jewish and Catholic rivalry during the Passover/Easter season and was called East Side Story. The draft outline showed the musical beginning at a Passover Seder and potentially including a song Bernstein had already composed, entitled It’s the Jews. After many months, Bernstein and Robbins realized the story they were creating reflected immigrant life at the turn of the century rather than contemporary times. Therefore, they updated it to reflect a 1950s immigration narrative and, significantly, what it meant to be American at that time. They altered the story to focus on American Jets versus Puerto Rican Sharks, and West Side Story was born. 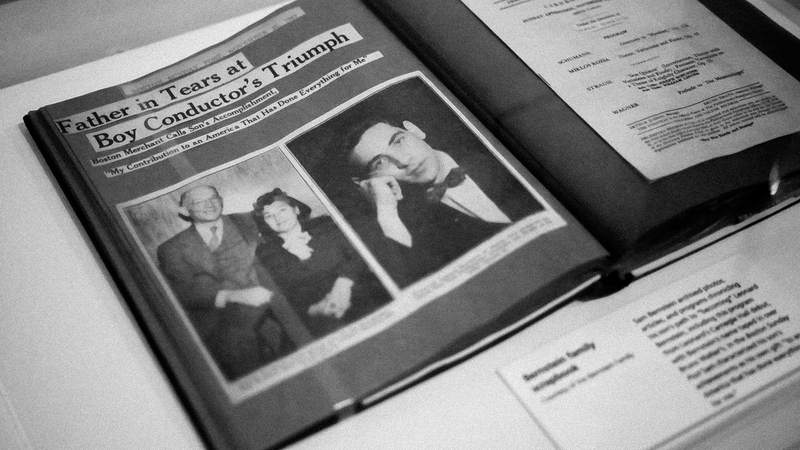 The museum has a display called Samples of Faith that shows how Bernstein used his Jewish faith in his composing work, including West Side Story. By turning a block, a visitor can hear how the sound of the shofar, a ram’s horn blown on Rosh Hashanah and Yom Kippur, is utilized in the first notes in West Side Story. In 1971 Jacqueline Kennedy Onassis commissioned Bernstein to complete his most massive work – MASS. 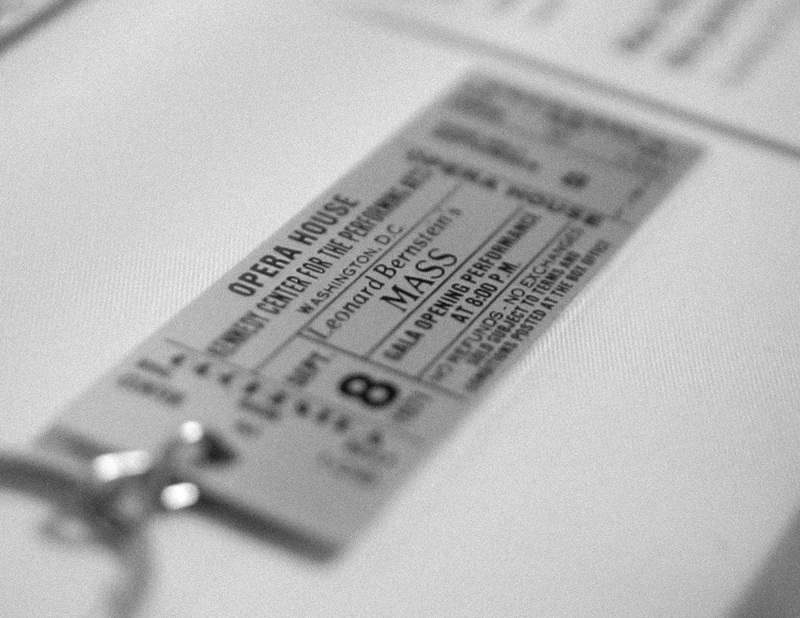 The project was planned for the inauguration of the Kennedy Center for the Performing Arts in Washington D.C.
MASS follows the Catholic liturgy in honor of Kennedy’s faith and incorporates English, Latin and Hebrew singing. It requires multiple ensembles to perform MASS, including an orchestra, gospel choir, rock band, children’s choir, dancers, and a street choir that tries to break down the faith of the celebrant. 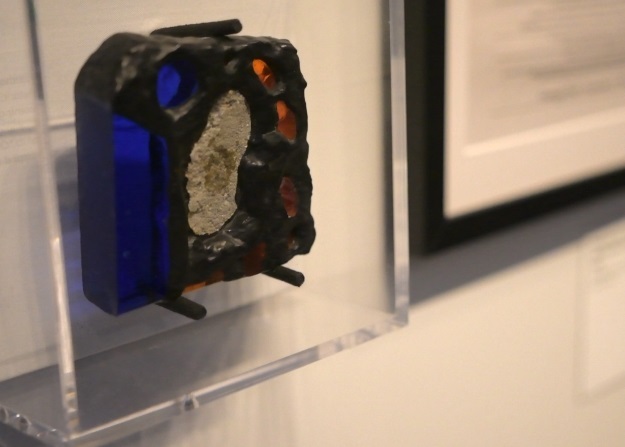 The work showcases Bernstein’s views during a time when the country was struggling with the Vietnam War, the Nixon administration, and civil rights. Bernstein continued his activism in his 60s by engaging in civil rights causes throughout the world. He often traveled with his Hebrew prayer book in tow. In the 1980s Bernstein embarked on a world conducting tour with the Los Angeles Philharmonic. The day before the tour began, he went to Boston to attend a fundraiser for Ted Kennedy, along with a Passover Seder and his daughter Nina’s play at Harvard. Weingram says that side trip showcased Bernstein’s priorities throughout his life. Years later in 1989, Bernstein visited Germany again for the fall of the Berlin Wall. There he took a chunk of the wall and conducted a historic concert in which he changed the Ode to Joy in Beethoven’s Ninth Symphony to Ode to Freedom. Bernstein died a year later in 1990 at the age of 72. The exhibition on Bernstein’s life remains open in Philadelphia through September 2. Tickets are available on the museum’s website. 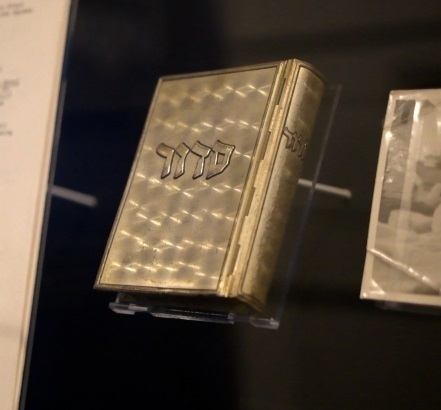 The exhibit then will be on view at Brandeis University in Waltham, Massachusetts, where Bernstein once taught, October 5–November 20, 2018, and at the Maltz Museum of Jewish Heritage in Beachwood, Ohio, September 22, 2019–February 22, 2020. For West Side Story sheet music, selections from MASS or other Bernstein’s works, view Pepper’s catalog. To read more about Bernstein, visit our other Bernstein blogs on his contributions to composition and to education. Rams horn first note in WSS, must ck/out!